Here, you'll learn how to tell if your tenant has paid you through Cozy. You'll also learn what to do next if you don't see your renter's payment. Your Payments page shows all your units collecting rent through Cozy. On the unit you want to check, click All Transactions to open the Payment page. The Payment page shows the overall balance as well as all completed, upcoming, and in-progress Payments and Bills. Due Today is the running total of what’s been paid and what’s owed. If your renter owes money, you’ll see a positive balance in orange. If your renters have overpaid, paid early, or have a credit, you’ll see a negative balance in green. Beneath Due Today, you'll see Bills and Payments organized by status: In-Progress & Upcoming and Completed. Bills tell your renters what is due and when. To pay a Bill, your renter will need to make a Payment. Payments are the actual transactions from your renter. When your renter schedules or makes a payment in Cozy, you'll see a line item titled Payment. Click the Payment line to expand it and see more details, like the payment method and estimated deposit date. "I don't see a Payment." Your renter hasn't scheduled or sent a payment through Cozy. Check their setup status from the Tenants tab of the Payments page. If your renter has set up their Cozy account but haven't scheduled a payment, ask them to log into Cozy and make a payment. "I see a Payment in Cozy, but I haven't received the deposit yet." The payment is on its way, but it hasn't arrived yet. Check the estimated deposit date by clicking to expand the Payment line. Free ACH Payments take 5 business days to process. Learn more about payment timing. Your renter hasn't verified their bank account. If you see an orange triangle next to their payment, it means your renter hasn't verified their bank account. Renters need to verify their bank account before their first payment sends. Renters can refer to this guide: How do I verify my bank account?. You haven't verified your identity to receive payments. When you receive payments for the first time through Cozy, you'll need to go through a short identity verification process. Even if you're going to use a business bank account, you need to enter your personal information here, not business information. Visit Banks & Cards to check if your identity is verified. A renter's payment may fail for several reasons. The card they’re using may be expired, they may have insufficient funds, or it might be their first payment through Cozy and their bank doesn’t recognize Cozy so the bank won't allow the charge. 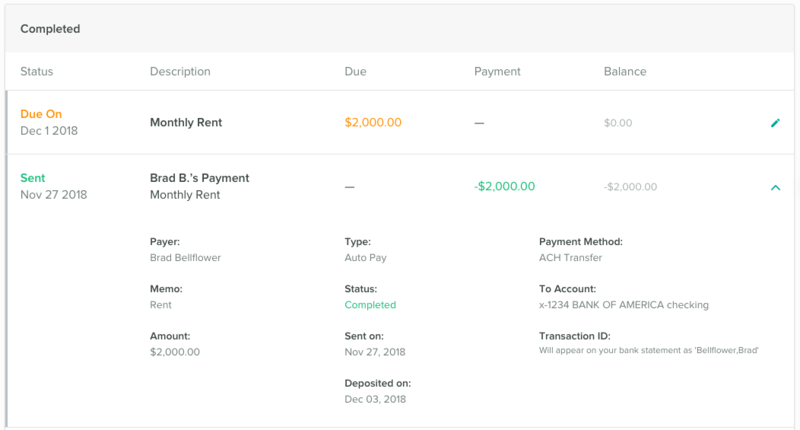 When a renter's payment fails, Cozy won't automatically retry the payment, so they'll need to send another payment if they want to pay through Cozy. Learn more about failed payments.